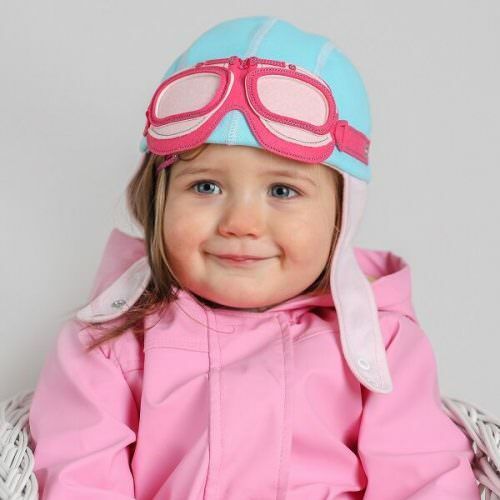 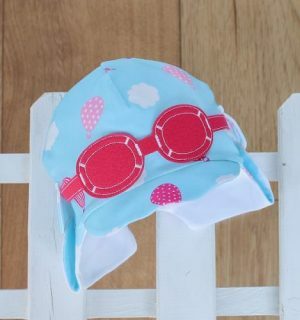 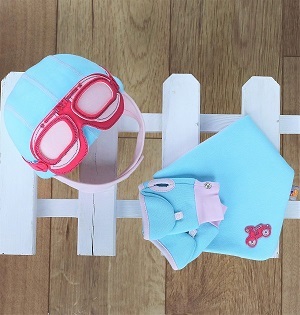 Beautiful baby girl driver hat in aqua blue & pink with quirky pink goggles attached on top. 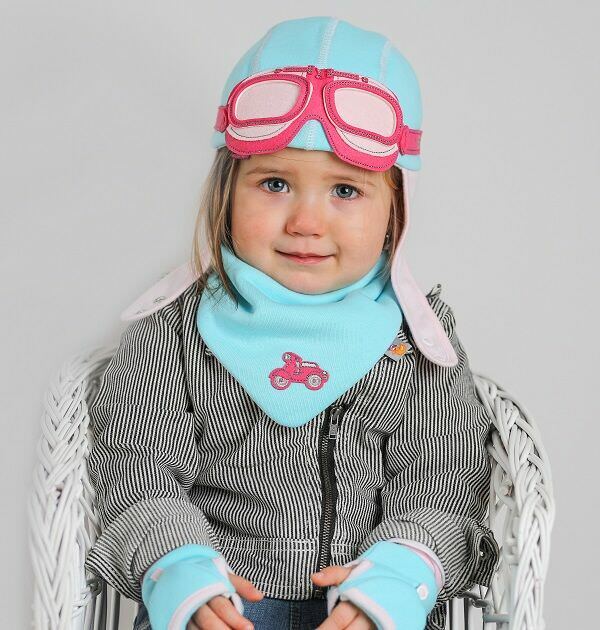 Available in 6-9 months, 9-12 months & 1-3 years sizes. 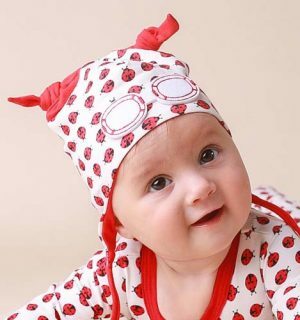 Comes packaged in a white gift box with a branded tag attached. 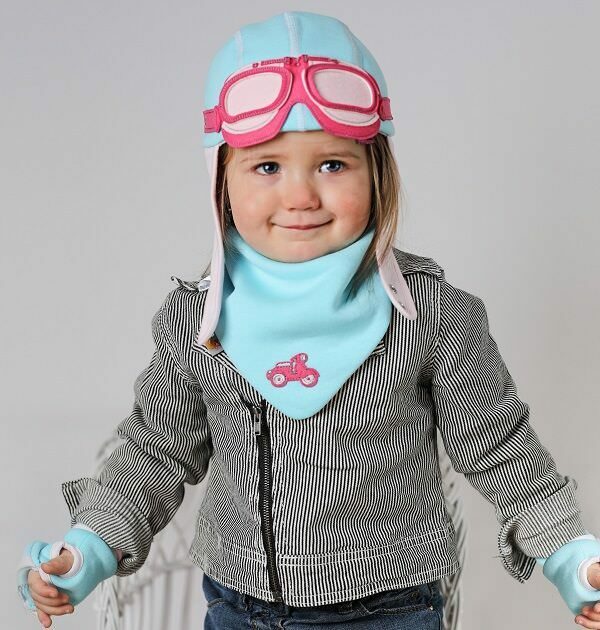 This adorable baby hat is designed for the coolest little girls who want to go on an adventure & stand out from the crowd. 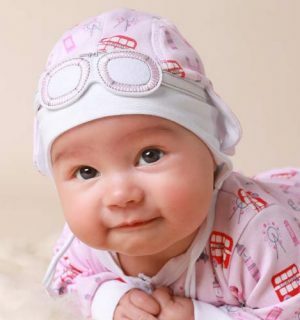 It is ideal if you’re looking for baby gifts, baby girl hats & toddler hats.